Pioneers in the industry, we offer auto screen printing machine for printing industry from India. We are the leading manufacturer, importer, exporter, trader and supplier of a qualitative range of Auto Screen Printing Machine. The offered screen printing machines are manufactured under the guidance of our professionals utilizing pristine-grade components and advance technology in accordance with market norms. We offer the entire range of screen printing machines in various specifications as per the requirements at market leading prices. 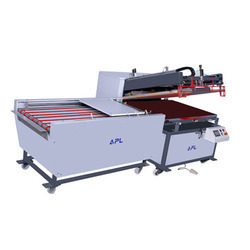 Looking for Auto Screen Printing Machine for Printing Industry ?